#46. 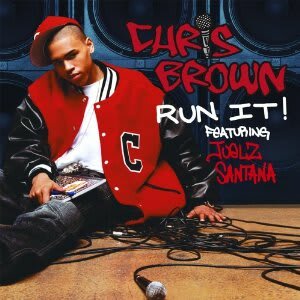 Chris Brown f/ Juelz Santana "Run It"
With Chris Brown's reputation now being that of a menacing abuser of women, it's easy to forget he was once just a goofy, overgrown puppy who liked to dance. On this minimalist fusion of crunk and R&B—see Usher's "Yeah" for another saw-synthed example—Chris invites Juelz along to beat the track up. Whoops. Anyways, this also stands as the only song Dipset was involved with that hit No. 1 on the pop charts. Wait till you see my A!